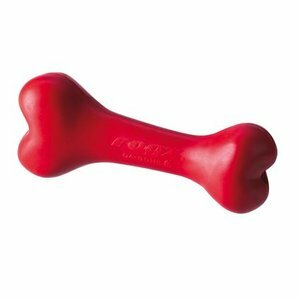 A hard red dog toy that you can give as a chew toy, and you can hide a snack inside so that the dog will not get bored. 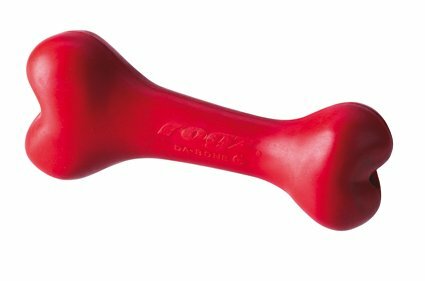 This is a hard dog toy that is perfectly suitable as a chew toy You can also easily throw it so that the dog can fetch it. To keep the dog extra busy, you can hide some treats for the dog inside the toy.